Awhile back, I suggested that an easy way for readers to support indie writers would be to ask local libraries to purchase their books. 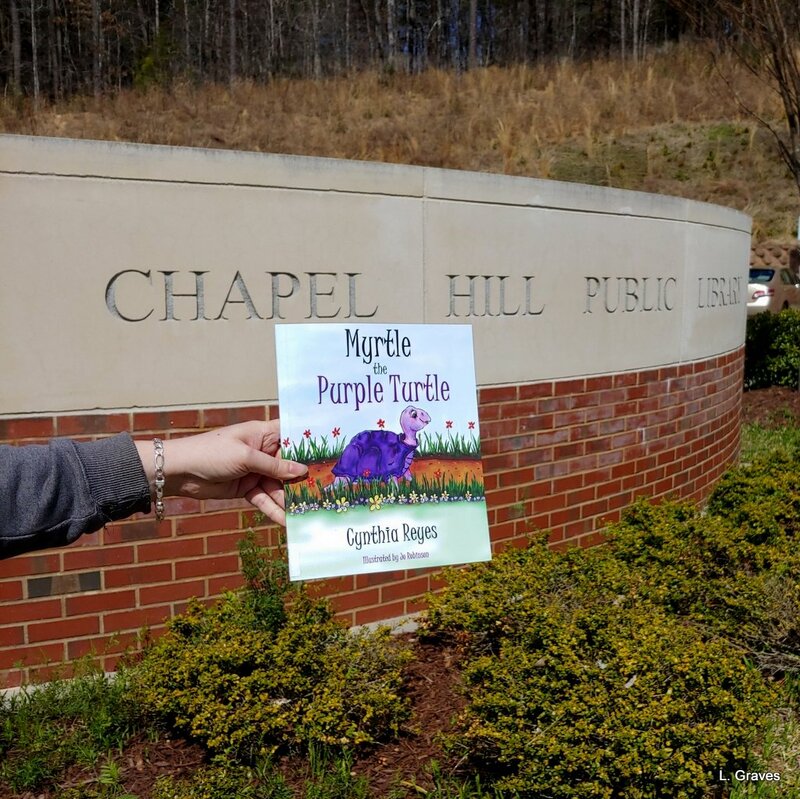 My daughter Shannon, who lives in Chapel Hill, North Carolina, took this advice to heart and asked her library to purchase Myrtle the Purple Turtle, written by my blogging friend Cynthia Reyes. And Chapel Hill Public Library complied! Here Shannon is, posing with Myrtle the Purple Turtle in front of the library’s sign. Thank you Shannon and thank you Chapel Hill Public Library for supporting a fantastic indie writer. Thanks so much! A terrific way to support writers. This deserves two thumbs up. Always a good idea. As a retired librarian, I can honestly say that libraries love suggestions from the reading public! Wonderful when those libraries follow through with the suggestions. I am still working on our library to purchase Myrtle. As usual you are so good at supporting fellow authors as well as small, local businesses. For some reason I needed some positive messages today and you provided. Wow! I should do this with Arlington. A wonderful way to help writers. I’ve asked our library to carry Myrtle. No luck yet. I’ll keep trying. Yes, my books are in our town’s library. The director offered to buy them, but I donated the two books. Our town is small, and so is the budget of our library. Well, I’m glad they’re available! Well done Shannon & this shows you have a great library. Sure does! 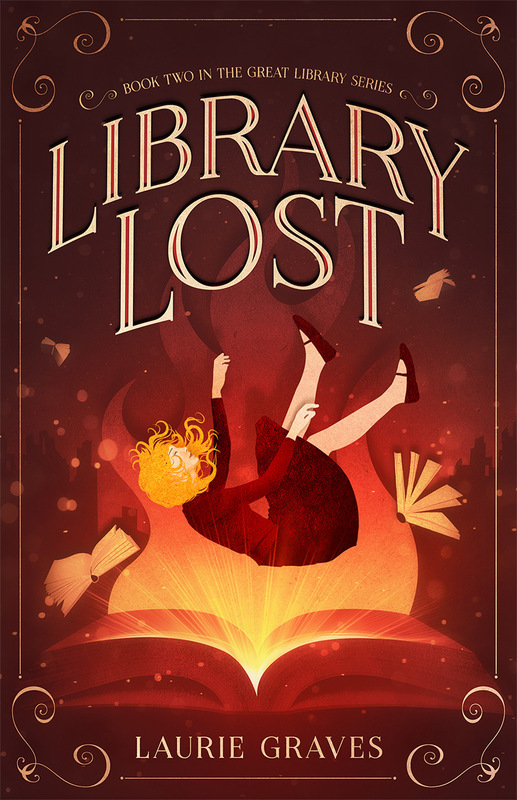 I’ve asked my library to carry Myrtle, but so far, it isn’t there. Unfortunately, our library doesn’t have a very big book budget. I’ll keep trying. Sure is! And all because of the wonderful world of blogging. I love that you put this idea out there, Laurie. I am a constant library client; I always have library books out. AND – I frequent the “new releases” bookshelf and comment to the librarians on their great taste in what they are bringing in. BUT – it never occurred to me to try to influence the process until you put the idea out there. So, thank you for that, Laurie. Thank you, Shannon! Laurie’s right: you’re a peach! Thank you, Chapel Hill librarians! Thank you, Laurie! You made my day.